Toronto Catering Showcase Season Two! One of my favourite foodie events and experiences is coming back (thankfully) for a second season and it's all going down in just over a month's time on October 15th, 2017 from 12PM to 4PM. 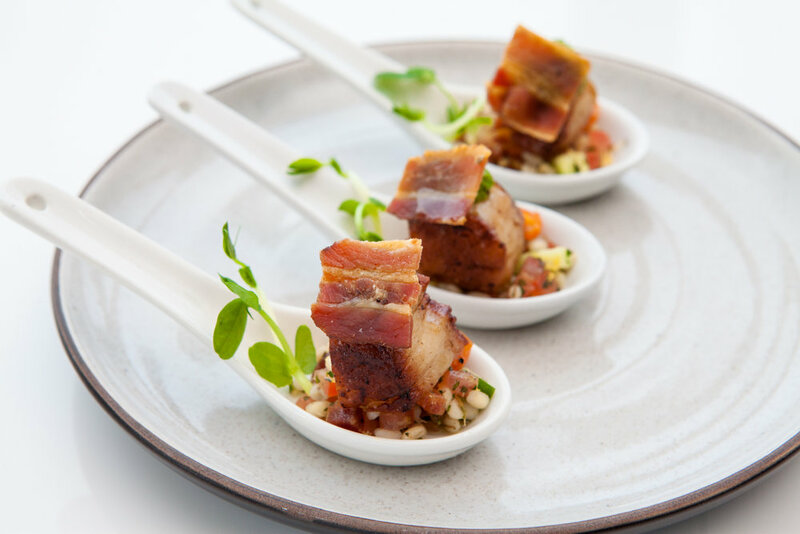 The Toronto Catering Showcase was such a huge success in its inaugural event last fall that it's no surprise the demand to have it again this year was buzzing. In case you missed attending last year, The Toronto Catering Showcase is held at The Bram & Bluma Appel Salon inside the Toronto Reference Library bringing together twelve of Toronto's most notable and talented culinary masters in the catering world. The setting is elegant and luxurious, an ambiance of a live band playing on stage sets a relaxing and casual mood, and the best part of it all is of course the all-access pass to an afternoon of pure epicurean indulgence. What sets this event apart from the other food festivals and events in this city is just how organized and simple they make it for us attendees. Once you show them your pre-paid ticket at the front door the world inside is basically your oyster. There are no drink or food tickets you need to buy. In fact there is no need to even bring cash or a credit card. Once you get in it's an all-you-can-eat and drink affair and you can basically hop from one vendor to the next at your discretion eating and drinking to your heart's content. You can even go back to the same vendor time and time again to grab the same dish if you choose to do so, but my suggestion is to save room in your stomach to try a dish from each vendor first before going back for seconds! Below are the twelve caterers this year that have dedicated their careers to the art of fine food and exceptional presentation in which you will experience first hand while attending. As there is an all-you-can-drink element in this (and yes I'm talking about alcohol), this is indeed a 19+ event. General admission tickets start at $65 if you purchase them now online by clicking HERE, and a limited number of tickets will be sold at the door for $80. New to this year is if you do plan to drive down to the event, complimentary valet parking will be provided by Adagio Valet Service, and every ticket purchased this year will also automatically enter you in a draw to win a prize! This is an event you do not want to miss out on so grab the tickets before they are sold out! Hope to see you all there!